I will forever see the fluttering stomach of Ms. Jakes when I hear that stuttering bass. I see lots of “world music”y stuff infused with electronic glitchy bits, but rarely done so well. Niyaz and Ekova, come to mind, but I really can’t think of others, besides Beats Antique, I’d recommend. Good to see they’re still at it. This is lovely, thank you. amongst a family that prides themselves on being so tight..
makes you think.we never know where anyone else is standing. 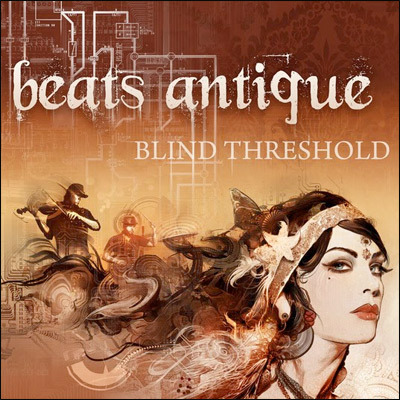 Well, Beats Antique can thank you for at least one Amazon MP3 album sale. Beautiful and refreshing ear pleasure. WANT.